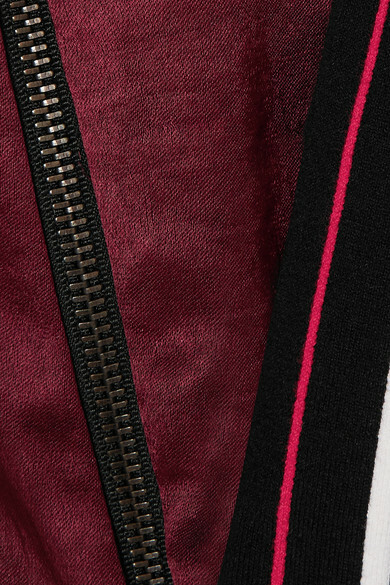 Koché's track jacket is made from lustrous midnight-blue, burgundy and black satin panels to look like '80s athletic styles. 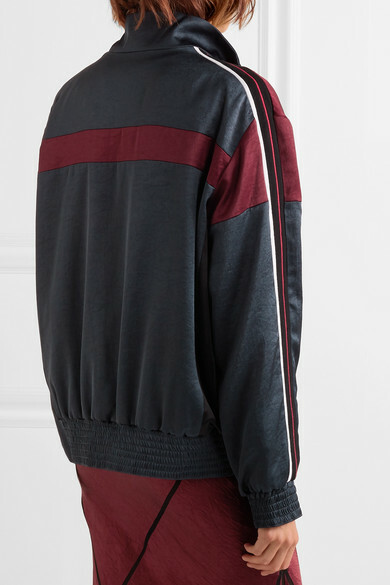 It's traced with sporty stripes down each arm and has retro elasticated shirred cuffs. 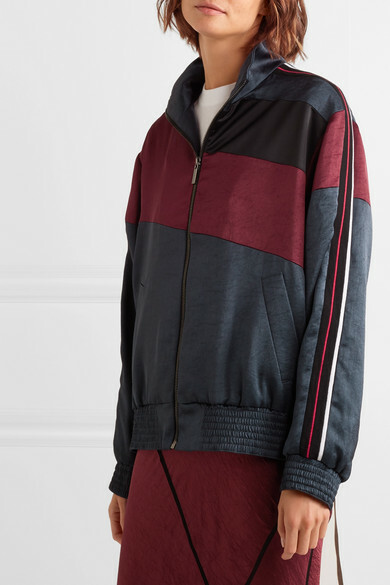 We love how cool it looks zipped to the top and worn with a midi skirt and sneakers. 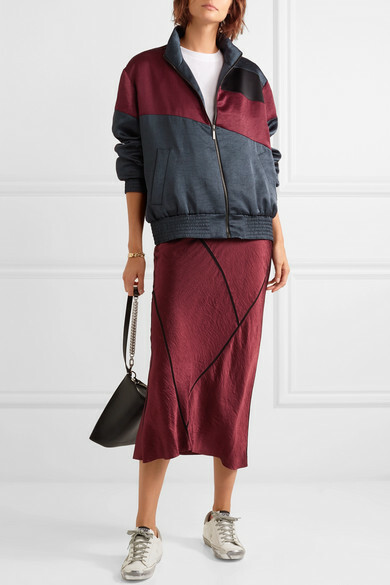 Shown here with: The Row T-shirt, Ann Demeulemeester Skirt, Golden Goose Deluxe Brand Sneakers, Alexander Wang Clutch.